ARTISTIC SPIRIT: Several Tibetan Buddhist Monks work on a sand mandala of Green Tara, a female Buddha that represents female compassion for the entire world, at the UC on Tuesday. Eight Tibetan Buddhist Monks were brought to UM by the Tibetan Buddhist Student Association in conjunction with the ChakraSamvara Center on South Beach. After they finish the mandala at noon on Friday, it will be destroyed. Little packets of the sand will be given to students. The rest is going to be put into flowing water. 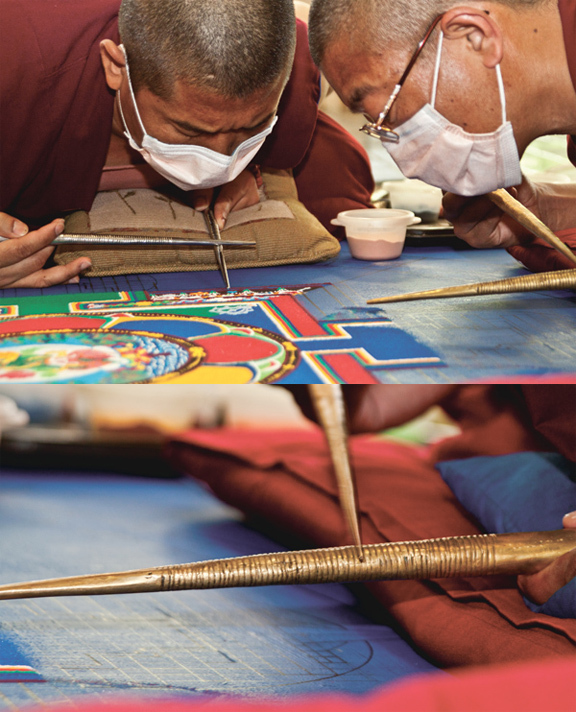 The destruction of the mandala signifies the impermanence of life.